Peranakan is the term given to descendants of early Chinese migrants who settled in Penang, Malacca, Indonesia and Singapore and married the native Malays. Peranakan (or Nonya) cuisine combines the best of Chinese, Malay and other Asian influences to offer a unique fusion of exotic food. The food is aromatic, spicy, and herbal. Peranakan cuisine also includes a wide range of desserts that are popular in this region. Irene was born to a quintessentially Teochew family, and married into a traditional Peranakan family. Cooking wasn’t always her strong suit, and she had to enrol in cooking classes after her marriage. Then, through trial and error, swapping recipes with friends, gleaning cooking tips from neighbours and friends, and tapping on her husband’s discerning taste buds, Irene’s culinary genie emerged. As the years simmered and broiled, Irene gained confidence and started her own cooking classes. She taught at classes organised by the Social Development Unit, the Welfare Club of Tan Tock Seng Hospital and other church groups. With all these classes, she was able to fine-tune her recipes even further. Writing a cookbook had always been on Irene’s mind, but she passed away before she could complete it. This book is compiled by her daughter Elaine Yeo. 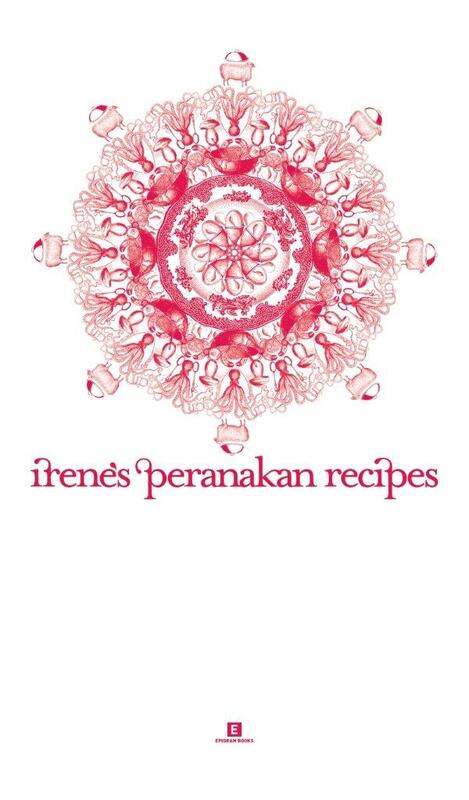 Irene’s Peranakan Recipes is part of Epigram Books’ award-winning Heritage Cookbook series, which showcases the best of Singapore’s major cuisines through authentic family recipes.